We pride ourselves on finding the right fit for each customer. Guitar playing should be fun, not painful, and we are experts at helping you determine the body shape, fingerboard width and myriad other elements that you need for a great playing experience. Each guitar receives a professional set up when it is received at High Strung, so you can be confident you're playing an instrument at its very best. 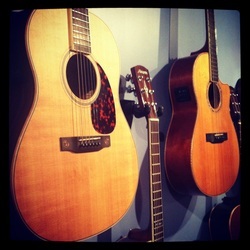 High Strung offers a wide range of instruments, from entry level guitars under $300 to high end Larrivee guitars. 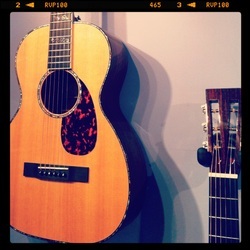 Our primary brands currently are Seagull, Alvarez and Larrivee, with Cordoba classicals to round things out.